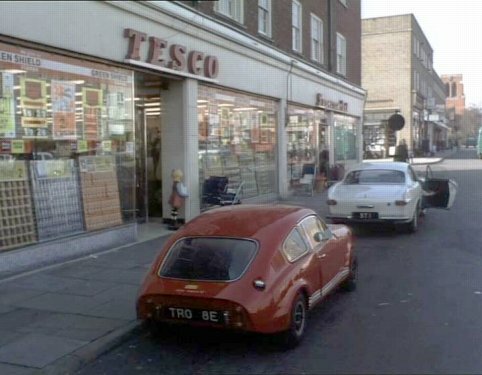 Mini Marcos TRO 8E in a scene from The Saint television series in 1967 starring Roger Moore. Simon Templar’s Volvo P1800, ST1, is ahead. The Marcos is in the Corgi model livery.